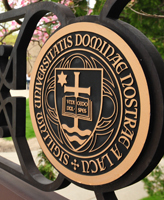 Tadeusz R. Mazurek, associate teaching professor in the Department of Classics, is one of 18 University of Notre Dame faculty members to receive Rev. Edmund P. Joyce, C.S.C., Awards for Excellence in Undergraduate Teaching. Three faculty have been honored with Dockweiler Awards for Excellence in Undergraduate Advising.